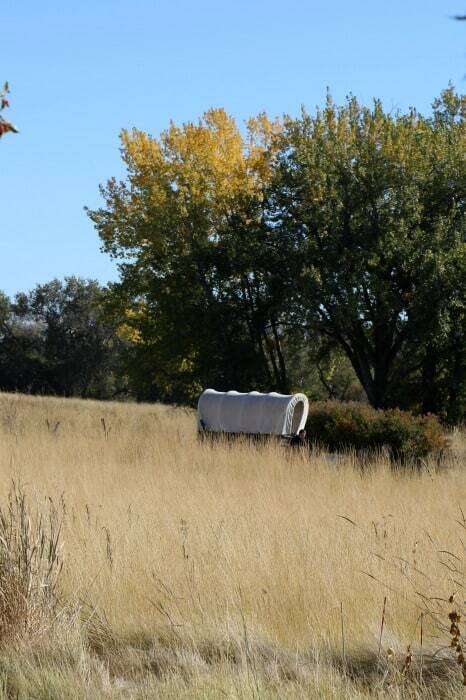 Whitman Mission National Historic Site preserves the history and hardships that occurred in the 1800’s. The history is not always pretty but it is important that we talk about what we can learn today from what happened at this historic site. We left the park really thinking about how far we have come and how far we have to go as a country. In 1836, Marcus and Narcissa Whitman left their New York home to travel west to Oregon Country. They were missionaries who felt called to share their beliefs and convert the Native American tribes to Christianity. 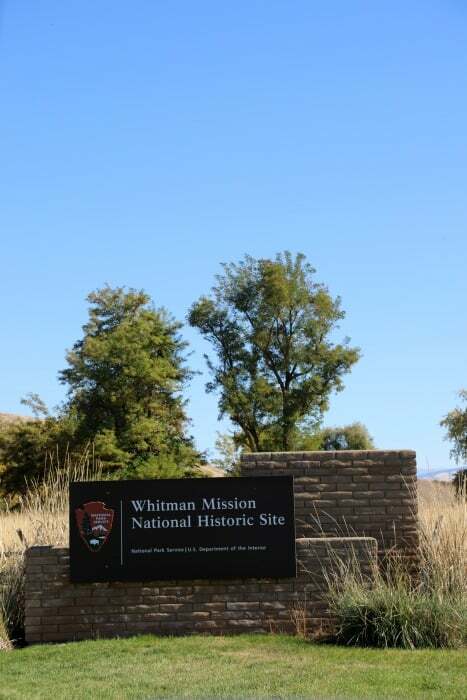 The Whitmans established their mission with the Cayuse tribe near the Walla Walla River. They held services and tried to convert the Cayuse people to their religion and beliefs. There were continual tensions between the Whitmans and the native tribes that escalated over time. 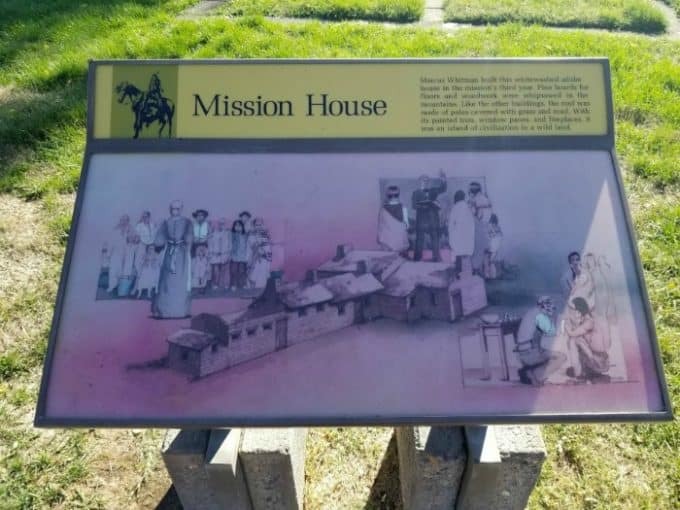 One factor of this escalation was the growing number of missionaries and homesteaders that were moving west on the Oregon Trail. They brought with them measles and other white person diseases. Marcus Whitman was a doctor and was able to cure and heal the white travelers but the native people continued to die from these diseases. The native tribes started to believe that Marcus Whitman was a witch doctor or was trying to harm their tribes. 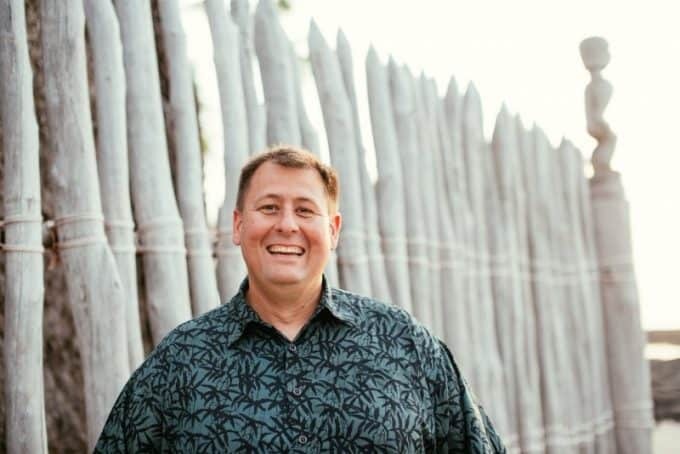 The measles outbreak lead to half the local Cayuse tribe losing their lives. This outbreak led to an attack by the Cayuse on the Whitman Mission. On November 29, 1847 the Whitman’s were killed along with 11 other people at the mission. 60 people were taken captive and held for ransom for a month. 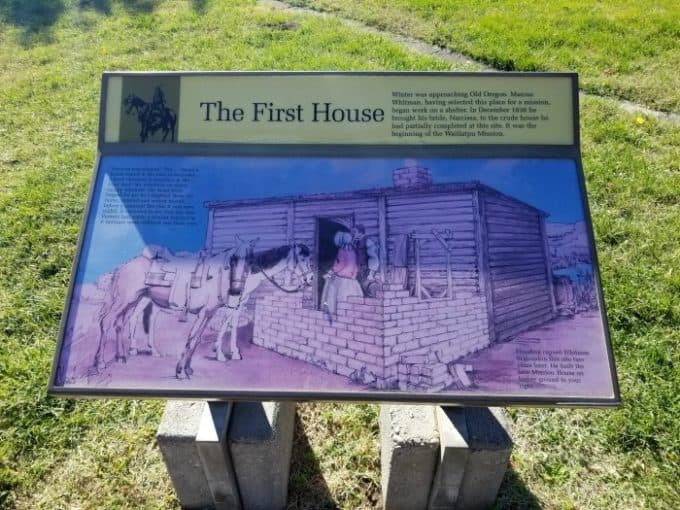 Settlers from the Willamette River Valley in Oregon banded together to avenge the Whitman’s deaths and on their way to the mission they burned Indian lodges. The Cayuse retaliated by burning the mission buildings. In 1848 in response to the killings, Congress passed legislation making Oregon a United States territory. The hunt for the Cayuse attackers led to a series of Indian skirmishes in the region that ended with the surrender and trial of five Cayuse leaders who were hanged in 1850. 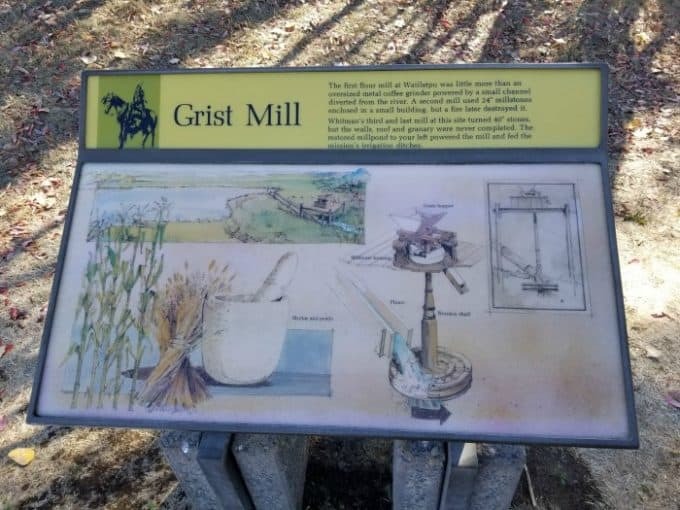 Whitman Mission National Historic Site has outside trails that lead to the original mission site and other structures that were part of the mission. There are concrete markers to show the size and placement of the buildings. 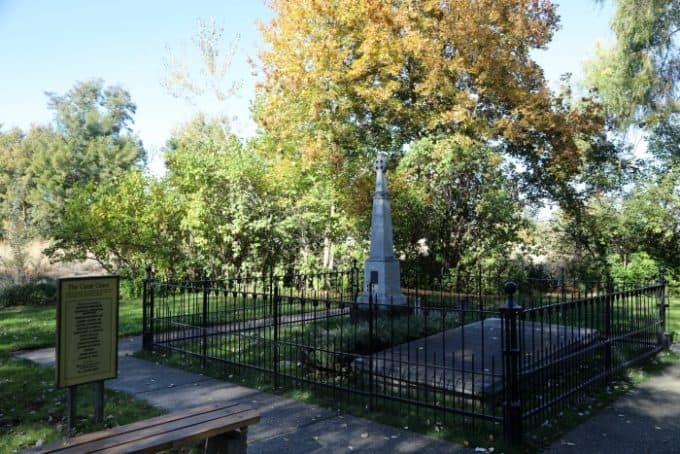 There is also a monument honoring the Whitman’s and the Great Grave where the bodies of the victims are buried. 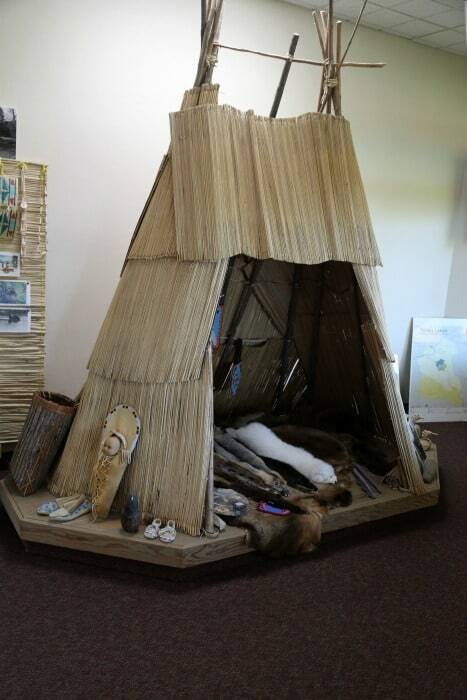 The visitor center has a small museum with exhibits including Native American items, archaeological artifacts and personal belongings of the Whitman’s. There is a small store with books about the site. Bathrooms are located outside the visitor center. The park movie really helps tell the story of what happened at the Whitman Mission. The park recently updated their movie and it is well worth watching. 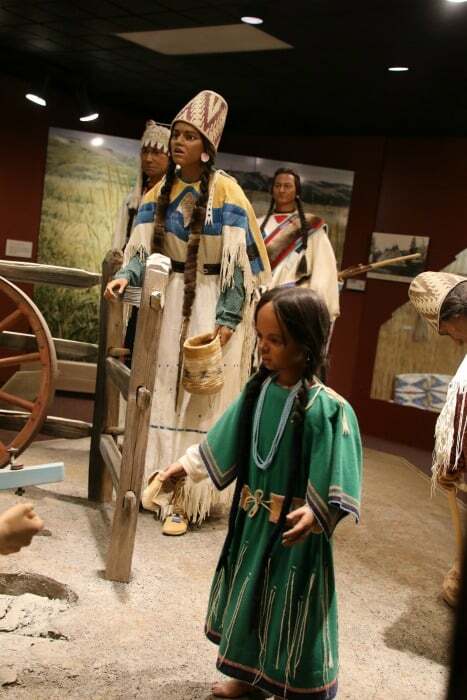 One thing we learned during the video is the Whitman’s traveled across the country with the Spalding’s who set up a mission that can be seen at the Nez Perce National Historical Park. 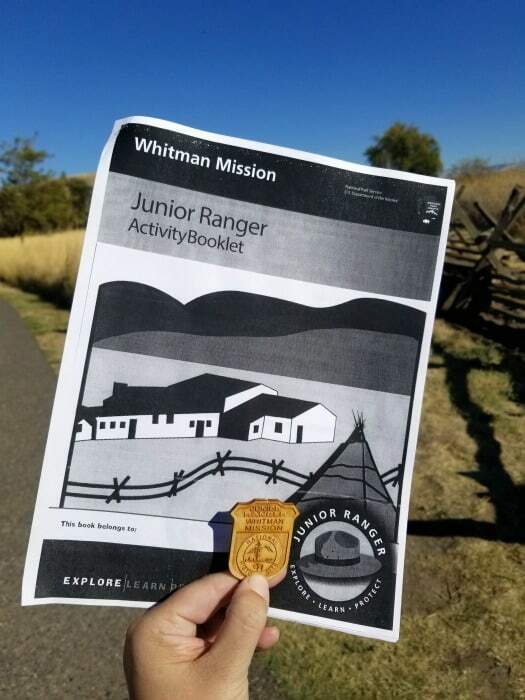 The Junior Ranger program can be filled out while visiting the visitor center. Most of the answers are found within the movie and the museum. Plan 20 to 30 minutes depending on the age of the participant to complete the program. 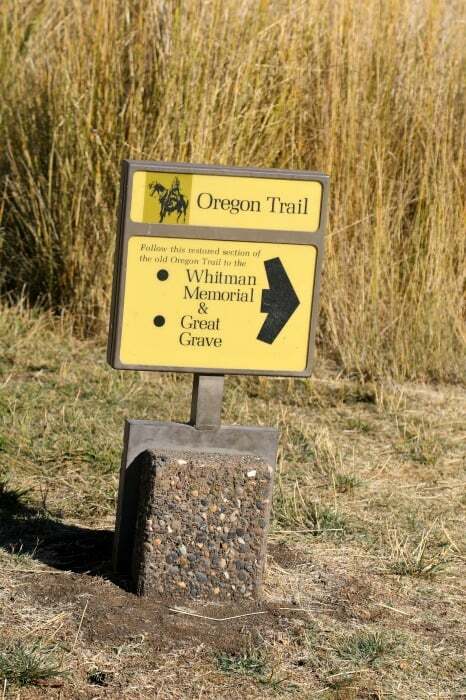 There are a mile of trails that lead around the Whitman Mission, up to the memorial and along the Oregon Trail. The trails are paved and easily walk-able. 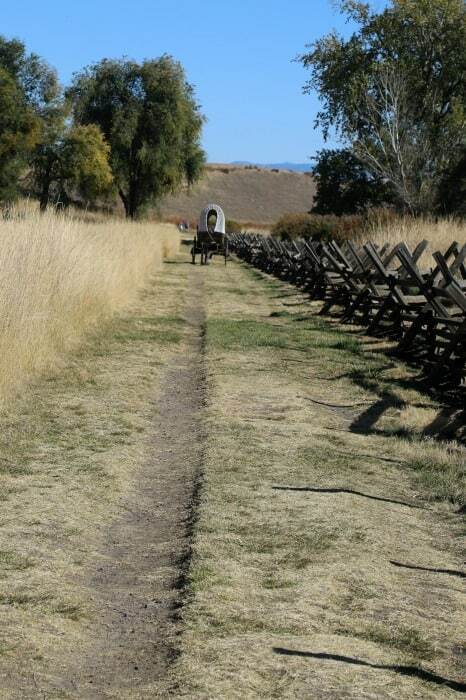 The trail around the mission is relatively flat. 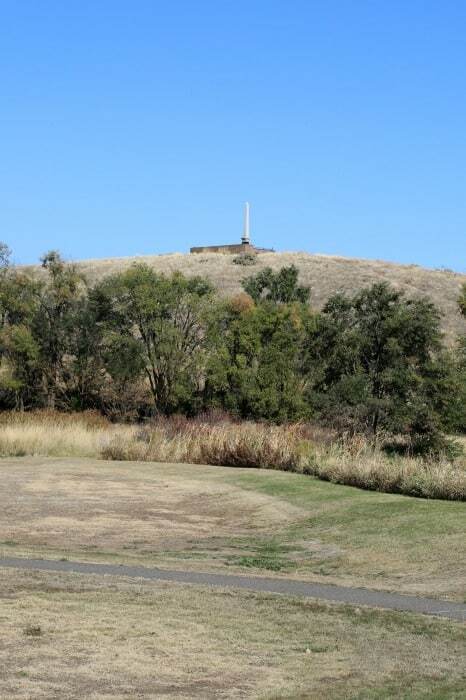 There is a hill to get up to the memorial. 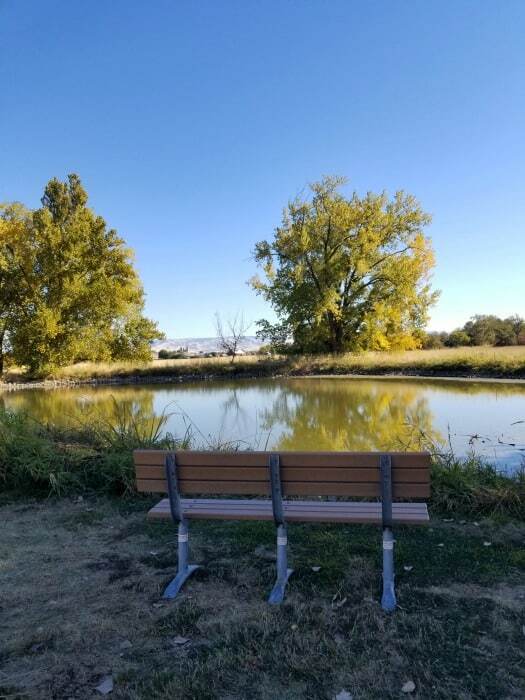 You can plan to spend one to two hours at this park. 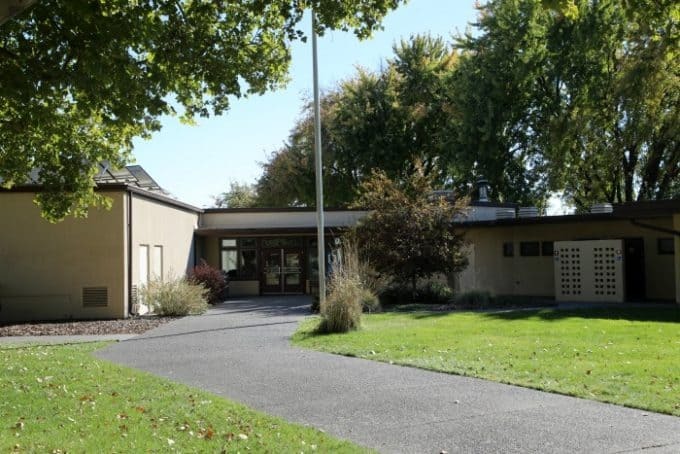 There is ample parking in front of the visitor center and a small picnic area. 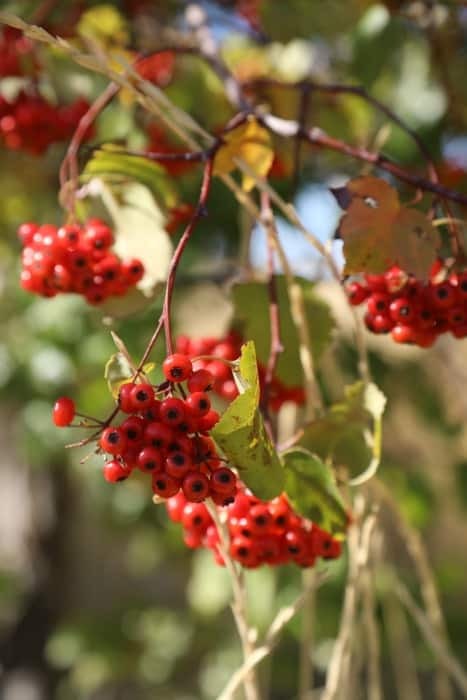 The park is located near Walla Walla, Washington. Winter hours – Open Daily 8:00 am to 4:30 pm. Summer hours (Memorial Day to Labor Day) grounds Open Daily 8:00 am to 4:30 pm. Entrance Fee – There is no entrance fee to visit this park.